Google revealed yesterday it is set to fly camera planes above a host of cities to add an incredible new 3-D experience to its map service. It is the next step of Google’s plan to create a photo-based map of the world. The company plans to release the maps by the end of the year. Google announced Wednesday that its mobile version of Google Maps is going offline, Street View is going off road with a new backpack-sized camera, and Google Earth will soon be serving up eye-popping new 3D imagery that you’ll be able to “fly” above. News of the Google Earth and Maps upgrades come a week before Apple is expected to dump Google as its default mapping technology on its iOS mobile platform. Perhaps Google’s intent was to show Apple what it was going to miss. And it did. 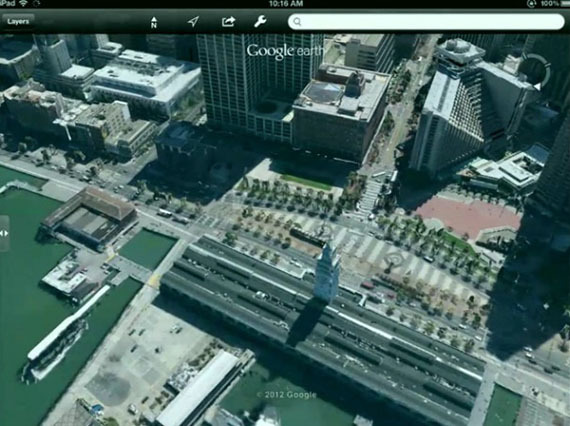 While Google declines to name the cities, it showed a demonstration of a 3-D map of San Francisco, in which a user can navigate around an aerial view of the city. Google says it has contracted a fleet of small airplanes equipped with the Google Earth cameras. The planes fly around tall buildings and other landmarks, and in strips over the city capturing thousands of 3D images of different angles of every object and every piece of landscape. Google’s head of engineering for its maps product, Brian McClendon, said the company was using a fleet of aircraft owned and operated by contractors and flying exclusively for Google. 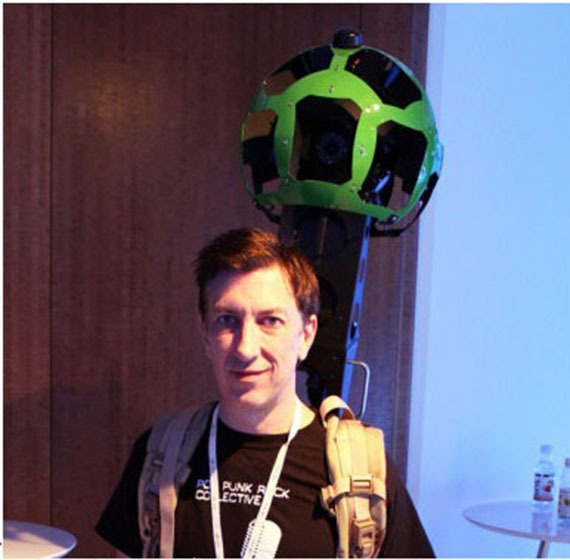 PCWorld editor Mark Sullivan with Trekker Street View camera on his back. Google’s Street View is getting some new tricks, too. Luc Vincent, Google’s Street View engineering director was here to a new way Street View cameras will be going off-road to capture images. It unveiled a backpack-sized Street View camera that weighs 40-lbs and that people can wear and capture 360-degree images anyplace they can hike. The Trekker is meant to complement existing off road Street View cameras such as its Google trike. And finally, after many requests from users, Google is making mobile Google Maps usable even when you have no access to Wi-Fi or cellular signal. You just select a section of a map that he will need offline before they leave home. Then map then downloads, and when you arrive at the place where you know you’ll be offline, the Map will work in a very similar way to how it works when connected. To make a Google Map available offline select the area you want to save offline, choose Make Available Offline from the drop down menu, and download. 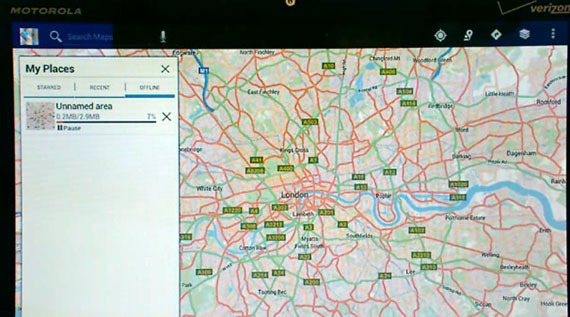 The map will work with your GPS signal to locate where you are, but you won’t be able to zoom down to Street View level. This capability will be available in the next few weeks on Android, but not on iOS. The service will become available in the next few weeks, the company says. As you can see above, downloading a map of London required just under 3MB of free space on a mobile device. Google says it has now collected more than 20 petabytes of Street View imagery, and that 75 percent of all people in world can now see their house in a high definition graphic on Google Maps. But Wednesday’s announcements come with some bad news (for Google) from Apple. The Wall Street Journal is reporting it has confirmed reports that it will ditch Google Maps for its own mapping app later this year. 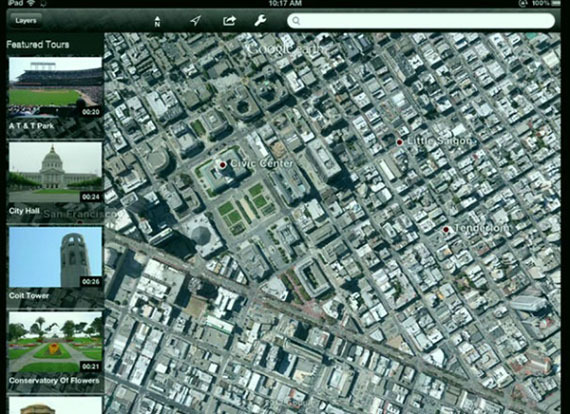 Apple will launch its own mapping service as part of it new iOS6 operating system for iPhones and iPads, the Journal reports. 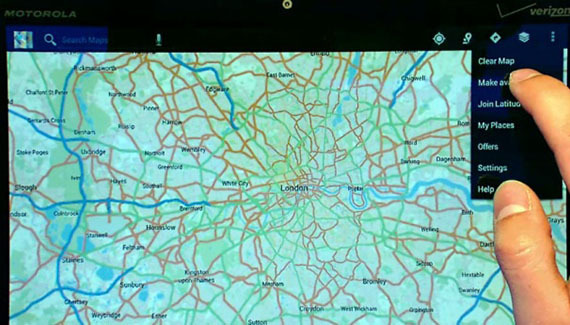 Today, Google Maps is the default map service in iPhone and iPad. Facebook is the hottest Internet company to hit the stock market since Google went public in 2004. The Silicon Valley companies, located seven miles apart, also happen to be locked in a bitter battle for Web surfers’ allegiance and online advertisers’ money. 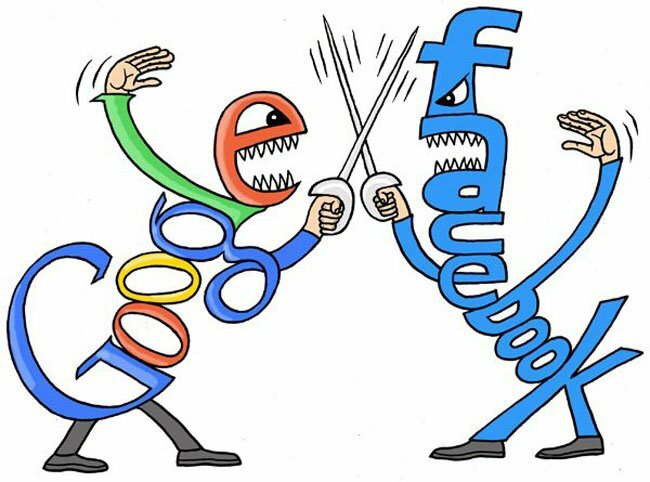 The duel is likely to intensify now that the IPO has given Facebook Inc.’s social network billions of dollars to battle Google Inc.’s dominant search engine. ANNUAL REVENUE: Google, $38 billion; Facebook, $3.7 billion. ADVERTISING REVENUE: Google, $36.5 billion; Facebook, $3.2 billion. ANNUAL NET INCOME: Google, $9.7 billion; Facebook, $668 million. SOCIAL NETWORKING USERS: Facebook, more than 900 million; Google, more than 170 million. EMPLOYEES (as of March 31): Google, 33,100; Facebook, 3,500. CEO: Google, co-founder Larry Page; Facebook, co-founder Mark Zuckerberg. AMOUNT RAISED IN IPO: Google, $1.67 billion; Facebook, $16 billion. Figures include shares sold by early investors and exclude bankers’ option to sell more shares. IPO STOCK PRICE: Google, $85; Facebook, $38. MARKET VALUATION AT DEBUT: Google, $24.6 billion; Facebook, $104 billion. DATE OF STOCK MARKET DEBUT: Google, Aug. 19, 2004; Facebook, May 18, 2012. CLOSING PRICE OF STOCK ON FIRST DAY OF TRADING AND PERCENTAGE GAIN: Google, up 18 percent to $100.34; Facebook, up less than 1 percent to $38.23. CURRENT MARKET VALUE: Google, $196 billion; Facebook, $105 billion.